A test is a procedure done to measure competency, quality, reliability, and even proficiency. Any test could be initiated depending on what is measured and in what terms. For some procedures, it could be a way of providing for assessment template and evaluation on a particular subject. 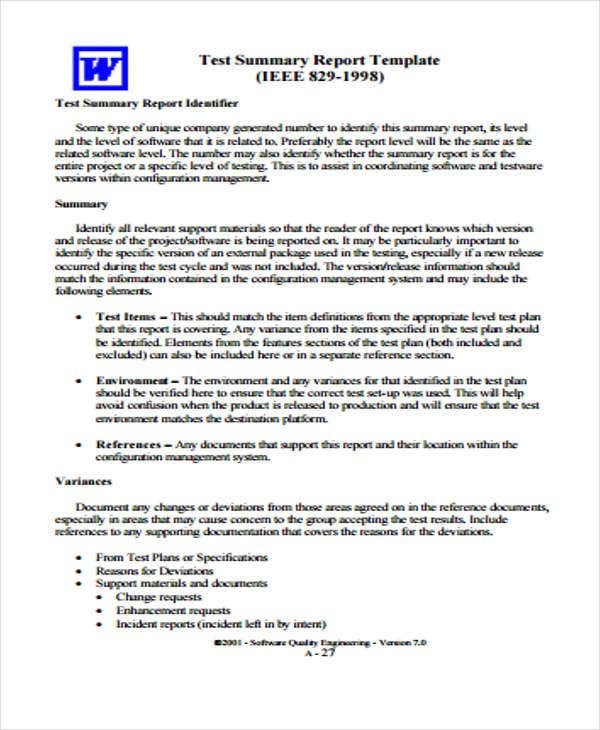 What Is a Test Status Report? A test status report is a report that simply relies on the data obtained from performing series of tests and other test procedures. 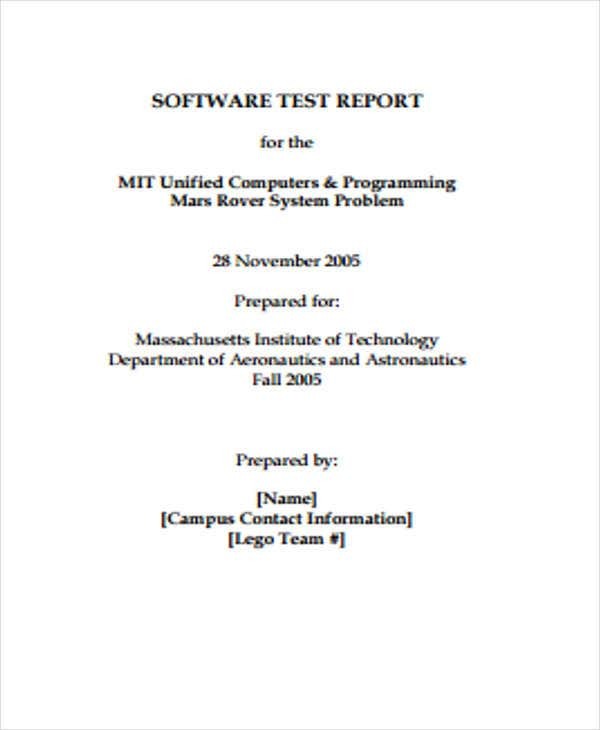 This type of report formally presents a status achieved from a testing perspective. 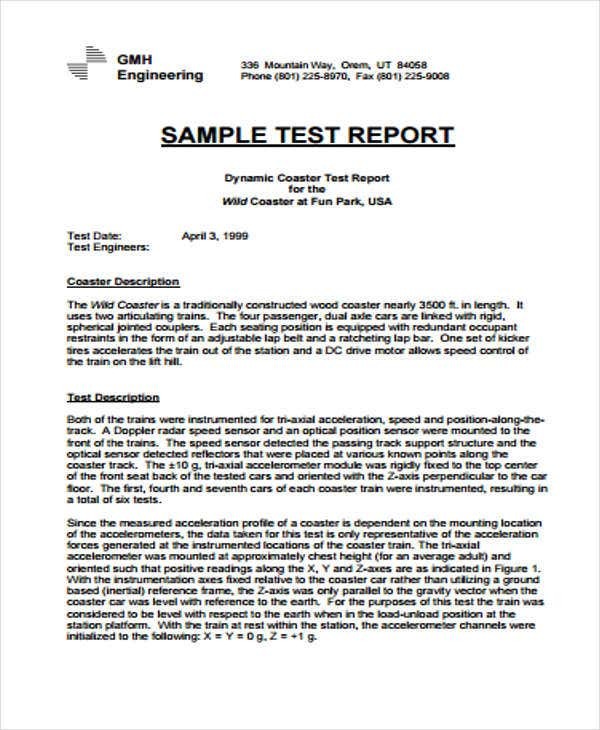 A test status report basically communicates whatever results it has obtained including possible test result implications. 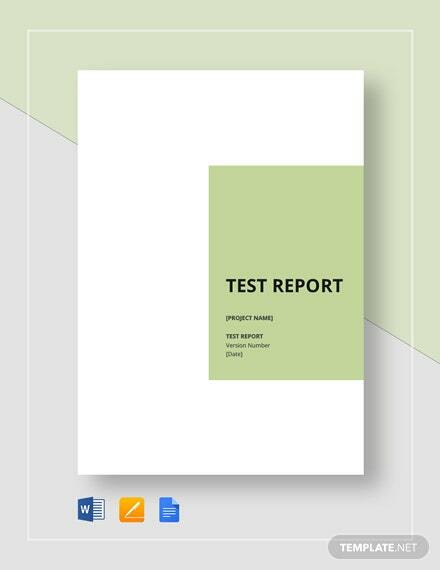 We have sample report templates that you could download for your personal use. 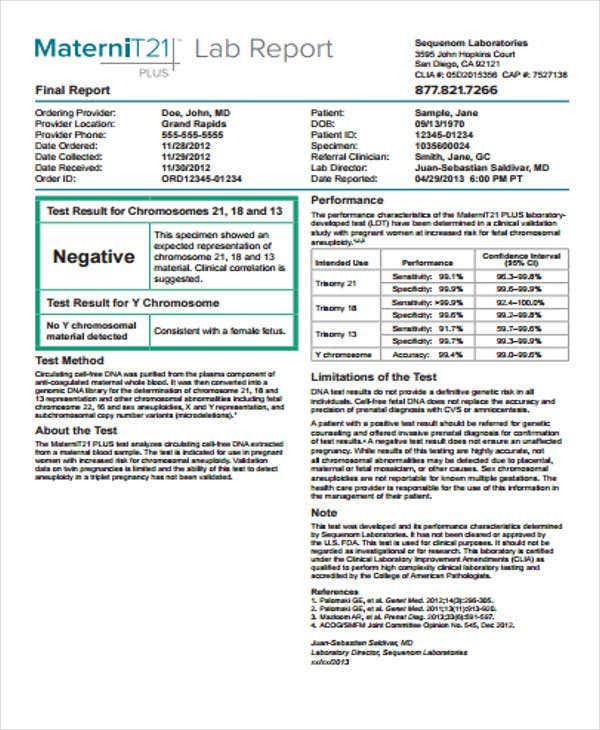 You could also check out our Lab Report Templates if you are looking for templates to help you summarize test results from a medical or scientific perspective. 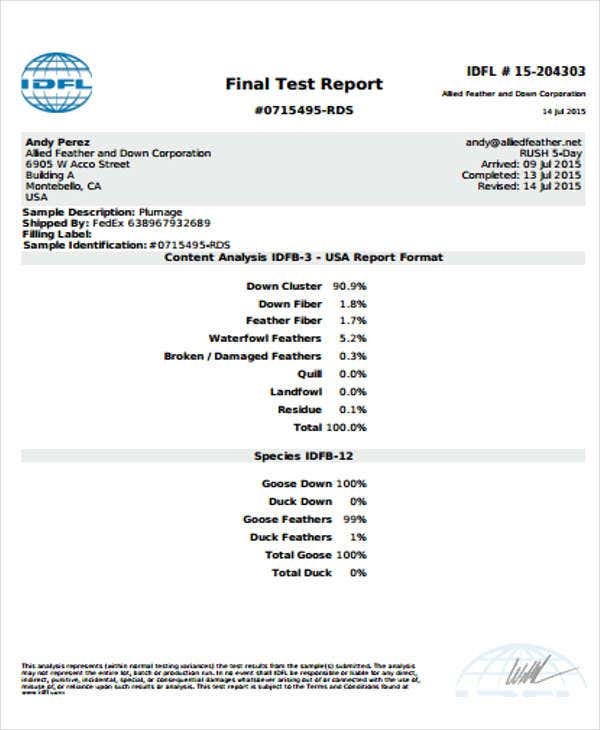 The need to report on test results is important in every field. Test results are useful for data interpretation. You could also draw conclusions from the data you have obtained and identify a specific status for every test you could possibly perform. Ongoing progress. You are able to monitor the gradual progress of anything that you involve with test procedures. Notification of completion. 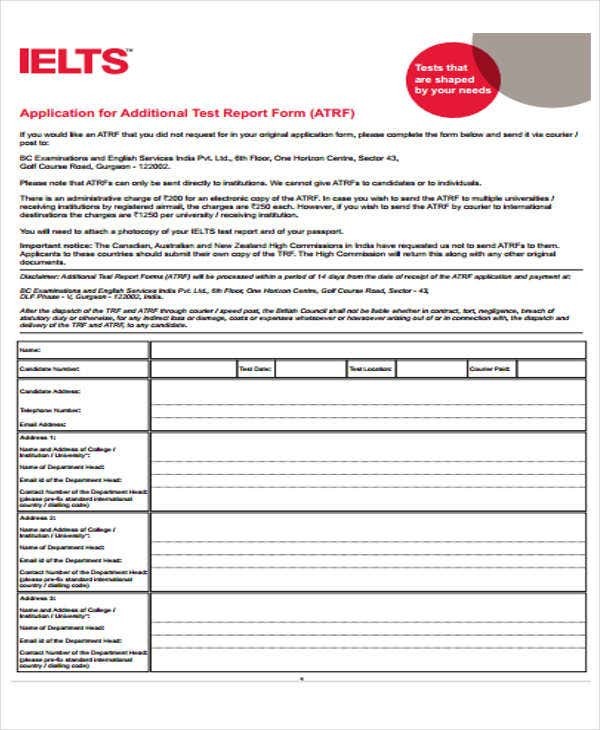 Tests reports could notify if you are close to completion base on the results that you obtain. Initial analysis. Analysis could be decoded when you track using test results. 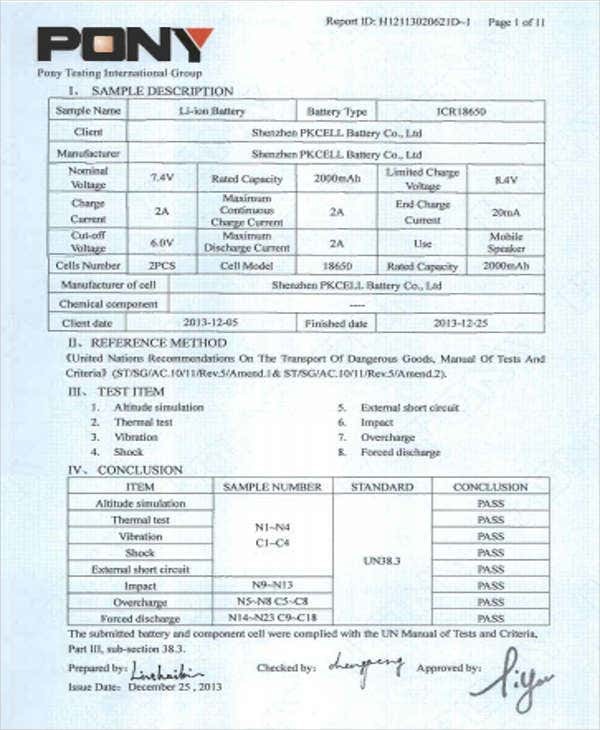 A corresponding status could possibly mean an initial analysis which means there is relevant data obtained. 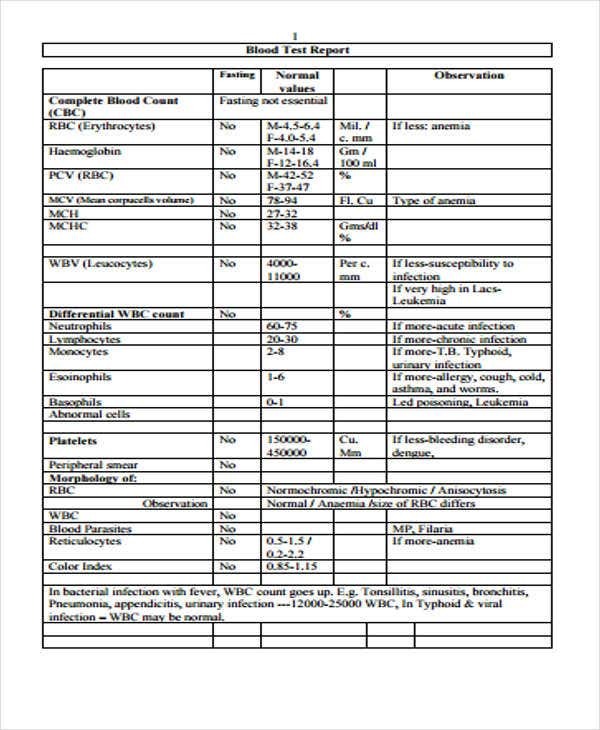 We cover a lot of report examples, and we have included Medical Report Templates on this page that are easy to download and edit for medical testing purposes. 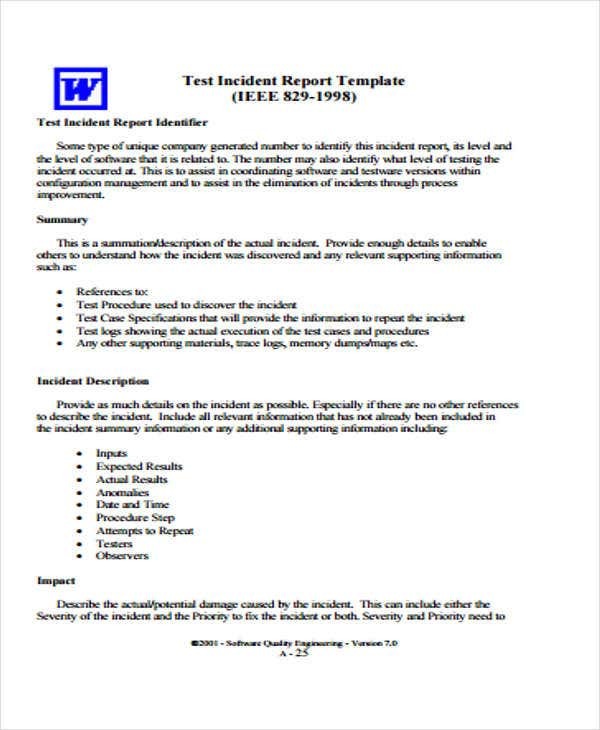 A test report needs to be written in a specific format based on the relevant information that you wish to obtain. Like a Research Report Format, there are specific labels and details that you have to include in order for it to be effective. Charts and tables. For a more organized summary report, it would be ideal if you present your data results and test specifications in charts and tables. This is also ideal for easy tracking and referencing. Specific test duration. 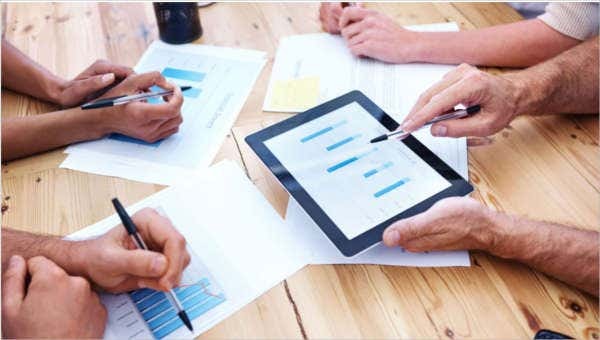 Our report sample documents in this page each consists of a specific test duration that would help you accurately report your results daily, weekly, and even monthly. Address issues. Take note of everything while you perform test procedures. Issues could have direct implications on the entirety of your tests, and it is important that you do not miss on what it might mean that could be subject to different interpretations.